Are you a traditional high street estate agent? Is your online presence living up to customer expectations? If you aren’t nailing the digital experience that homeowners and buyers receive, then you are losing out on valuable business. In today’s market you can’t just rely on a good retail location, quality listings and low agent fees; nowadays you need to offer outstanding service in order to beat the competition and make more sales. It isn’t just the face-to-face service that has to be outstanding either. Whether you like it or not, homeowners, buyers, landlords and tenants are online. Property portals, social media and your website are where research and purchasing decisions are done. That’s where your customers and leads want an outstanding experience. In digital channels. Your customers are digital, are you? Just how digital is the average UK adult that you are hoping to turn into a customer? Well according to research by Ofcom, 80% of them have fixed and/or mobile broadband. Each month they spend 31 hours and 19 minutes browsing the internet on a PC or laptop. And 72% of online adults use some form of social networking site. And what do your leads and customers expect of the digital experience that they receive? Online, they want you to be at their every beck and call. When a prospective client wants a question answered, they expect it to be answered fast. A study by Lithium Technologies found that 53% of customers who ask a brand a question on Twitter expect a response within 1 hour regardless of when they tweeted, with that percentage rising to 72% if it’s a complaint. Prospective buyers and tenants don’t want to be waiting a day for an email response when trying to close a deal. Hot property moves fast and no-one wants to lose out on the dream home just because of a slow customer service response. Not only should service be quick (there when they need it). Service should also be held to a high standard, consistently. Customers need to be offered a seamless experience – getting the same quality across channels and being able to pick up every conversation where they left off. The perfect digital experience is a pain free network of interactions with you, your website and other communication channels. In certain scenarios, customers and leads shouldn’t even realise that they are requesting help. All the information that buyers and sellers could possibly need should be to hand. It should be on your website, provided in 30 seconds when they ask for it or even provided proactively. Homeowners and buyers want digital service on a silver platter. 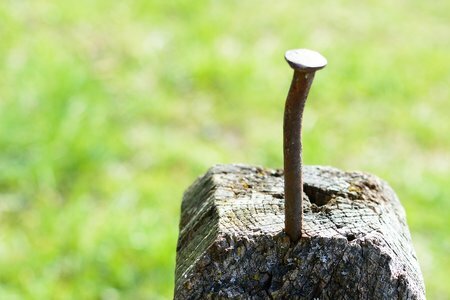 What happens if you don’t nail your digital experience? Well, you lose business. As I said previously, high street agents need to have so much more than good face-to-face service and physical attributes. A lot of the buying, renting, selling and leasing process is now done online. Digital has caused a serious disruption in property. Your customers now expect to be able to do everything that they used to do in-person, online. Even traditional viewings are out the door supposedly, it’s all about drones and Skype now. Make your digital customer service quick, seamless and proactive or you could pay the price. The modern homebuyer is a fickle creature, they’re off to find the same property or something similar listed elsewhere as soon as the digital experience on your website goes sour. Don’t leave a bad taste in your prospects’ mouths, nail the digital experience. Want to know if there is a difference between traditional and online estate agents’ digital service? We’ve done the research! Download a copy of the report here. Want to generate more leads for your property business? Check out our live chat for property programme.